Traditional Chinese Medicine teaches us to have a Beautiful Coat we need Beautiful Blood- that means a body well nourished with Whole Food. Take our 8 week home cooking challenge and see your dog’s skin become less red and dry. See the coat improve in softness, hydration and vibrancy of colors. Skin improvements are one of the first changes we see when we feed real food our dogs. 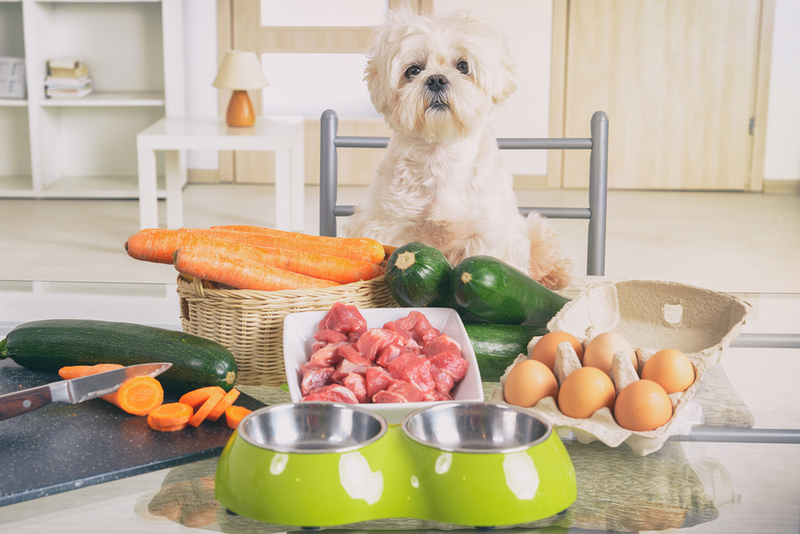 Your dog will thank you for entering into this journey of real food! The meat and vegetables have water in them, so likely no need to add any more water, but it is ok to add extra water to keep the mixture the consistency of oatmeal. After 40 minutes to 1 hour, you’ll have home cooked dog food! Your dog will love dinner and feel better in 1 to 2 weeks. Stool will become softer and he or she will drink less water. That is a great sign your dog is getting plenty of moisture from his food. He or she will likely lose weight if she is overweight. Whole Foods are much cleaner than processed dog food. You will see a difference! You can home cook 100% and add a nutritional supplement of vitamins and minerals as directed by your veterinarian. You can can home cook 50% and feed 50% Chi dog based on your dog’s Element. Simply order for 1/2 of your dogs weight. Ex: 40 lb. dog can eat: Home cooked amount for a 20 lb. dog + Chi Dog for a 20 lb. dog. What meals should I order to improve my dog’s skin from a Chinese Medicine perspective? Red, hot skin? Fire Diet with Turkey is cooling. Dry skin and hair coat? Metal Diet with Beef is hydrating. Oily skin and hair coat? Earth Diet drains the Damp. To utilize Western Medicine’s perspective on Food Allergies, consider Water Diet as Pork can be used as a Novel protein for some dogs. If you have any questions, you can book a FREE 30-minute phone consultation with veterinarian and certified food therapist Dr. Susan Bohrer through our Ask a Vet form here.